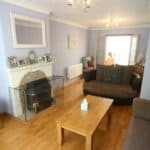 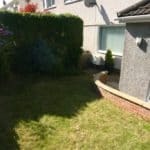 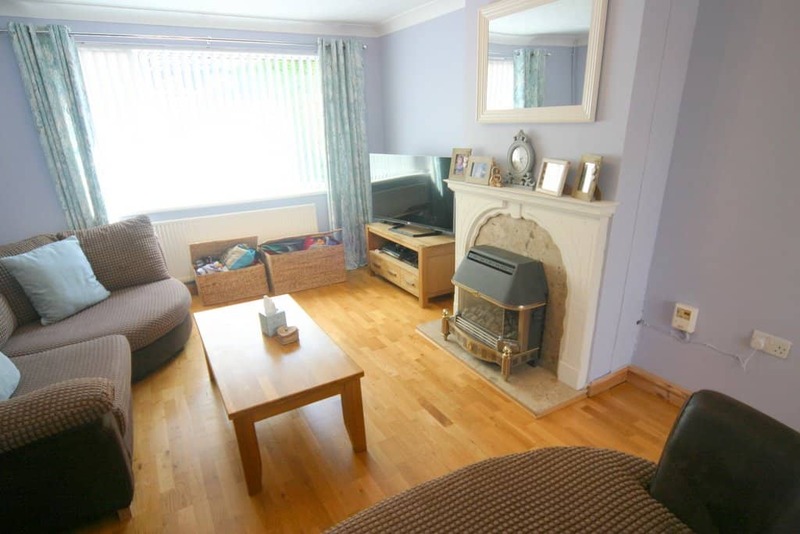 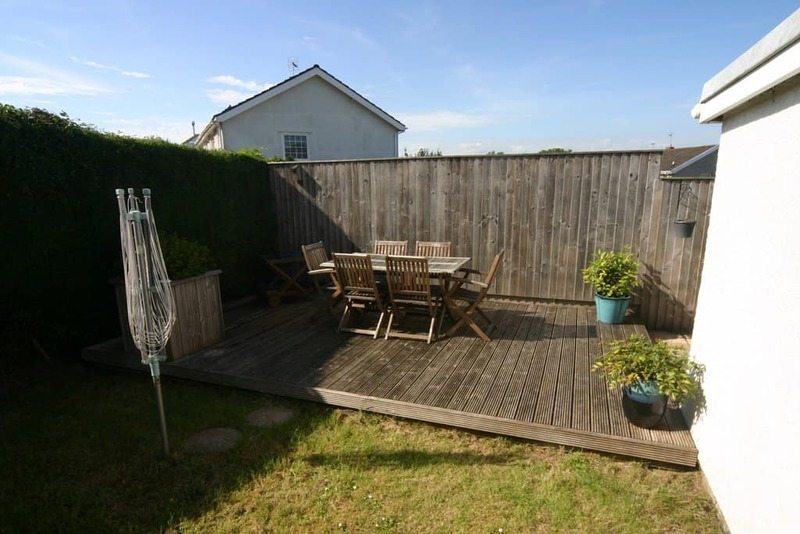 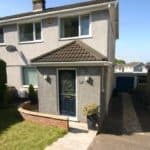 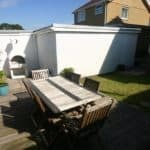 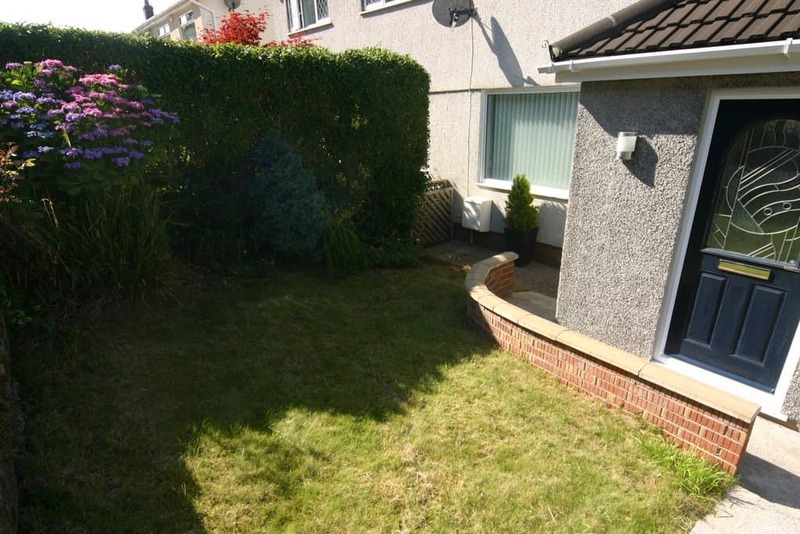 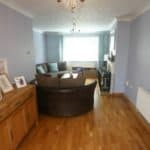 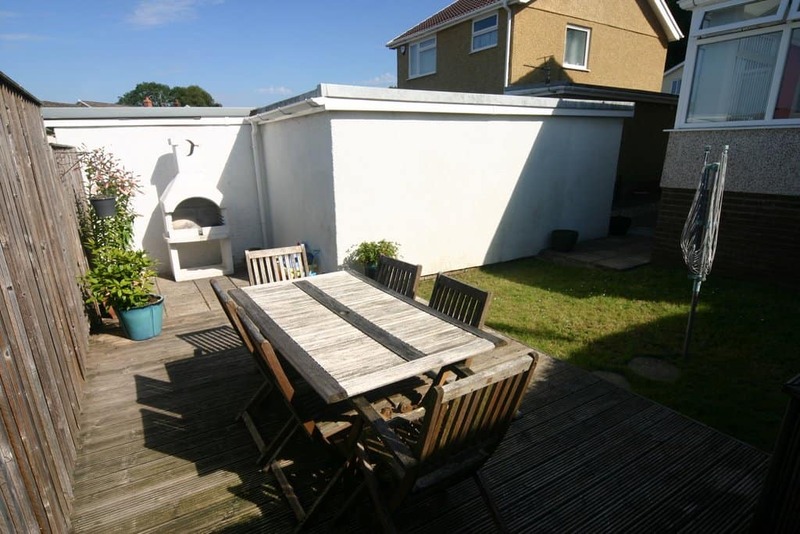 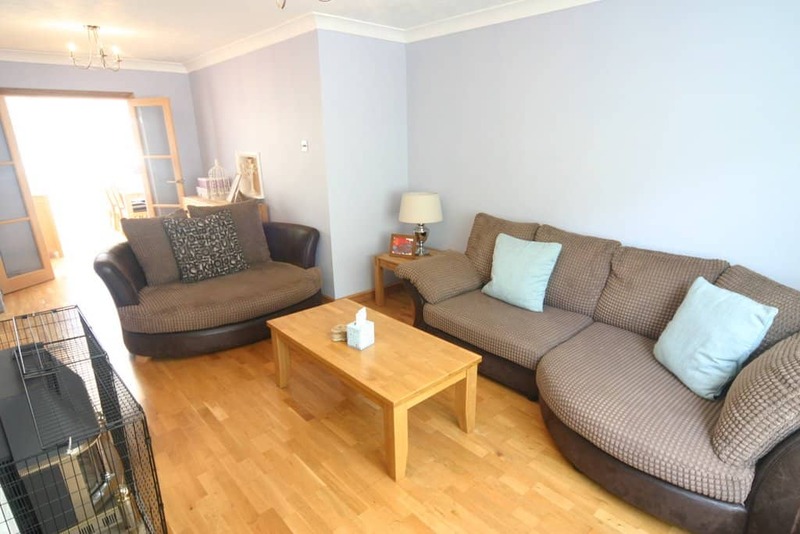 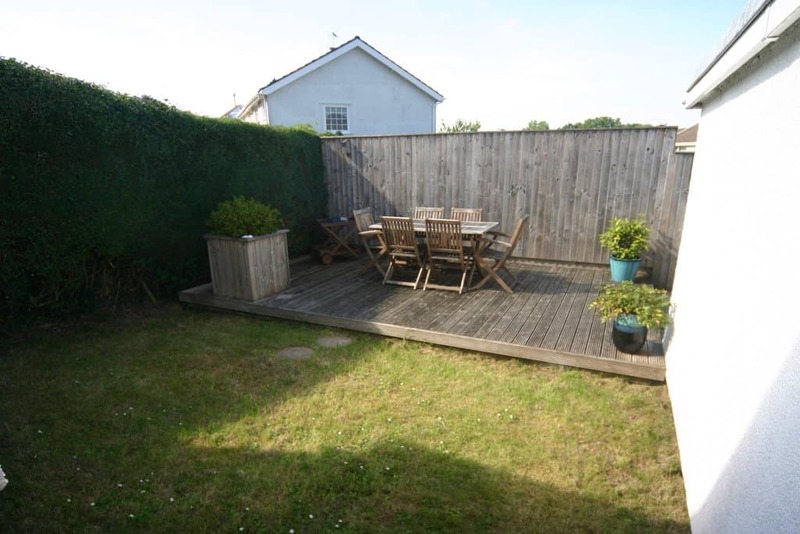 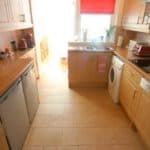 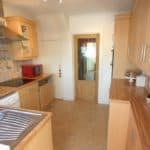 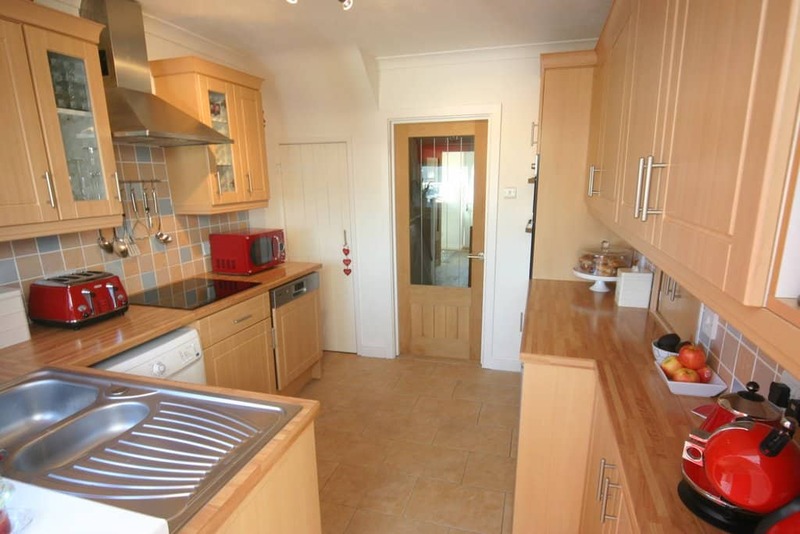 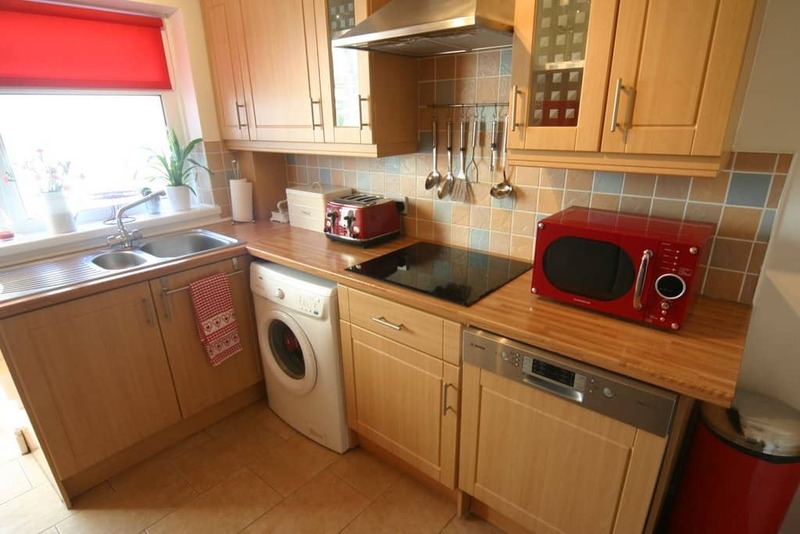 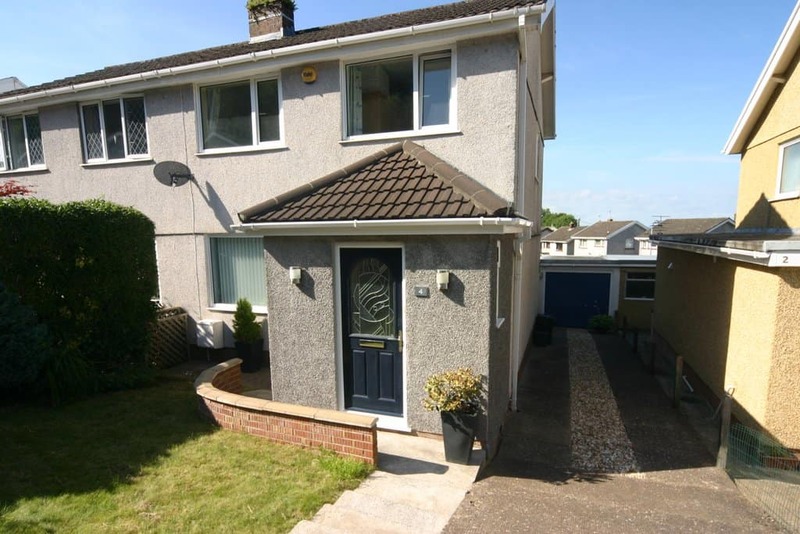 A three bedroom semi-detached property with a driveway for three vehicles and a detached garage. 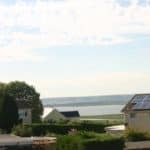 Situated in Penclawdd, North Gower. 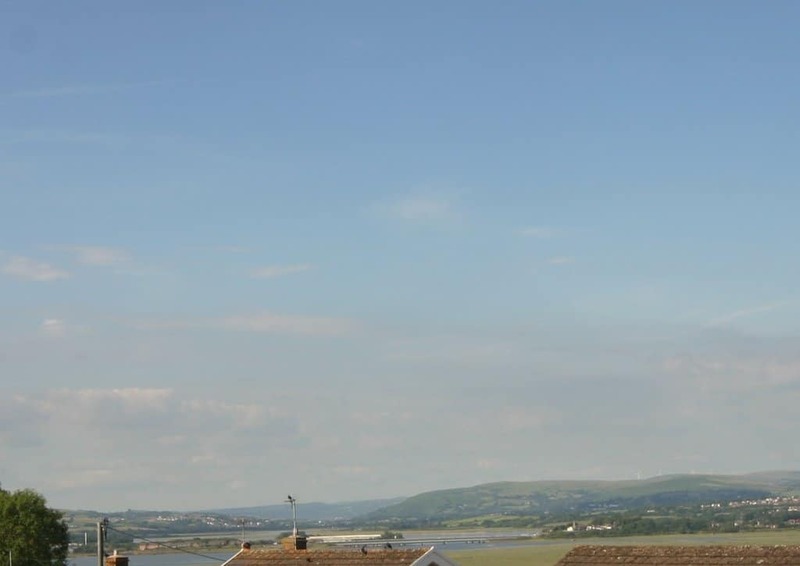 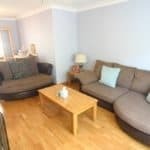 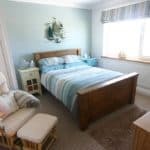 This village is in a prime location for Village and country lifestyle, while having handy amenities such as: CK's supermarket, cafes, pubs, health centre, parks, and beautiful Estuary walks very close by. 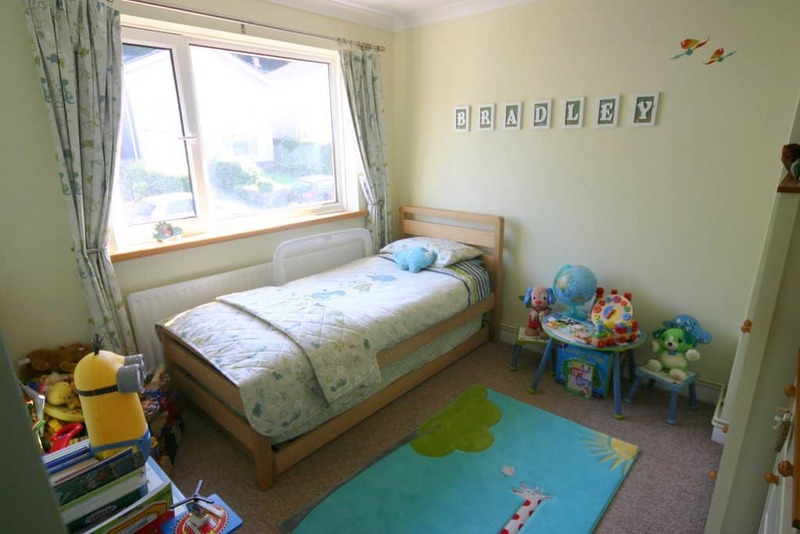 The schools in this catchment area are small and of a high standard. 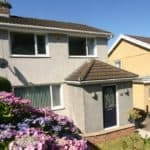 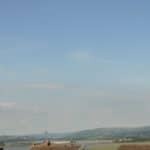 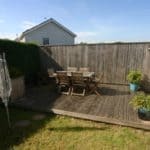 There is easy access into Swansea and Llanelli town centres and the M4 motorway (J47) is only a quarter of an hour away. 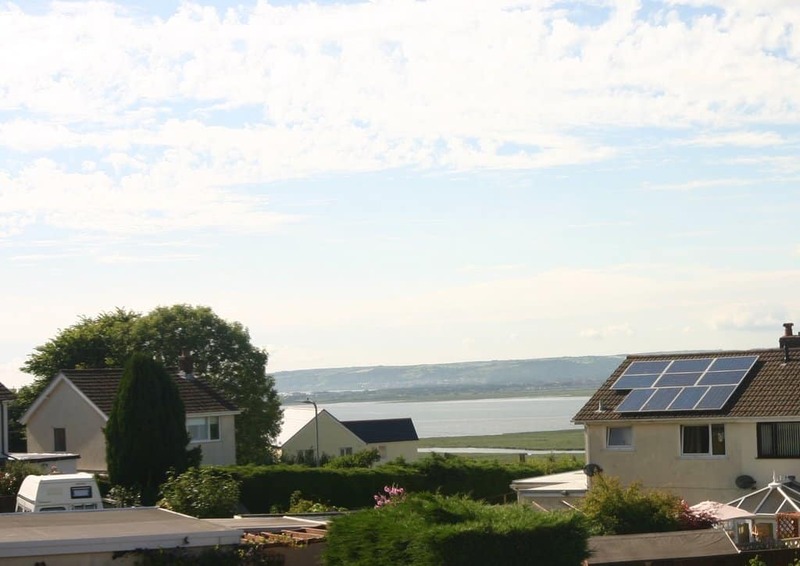 This property has estuary views to the rear from the first floor. 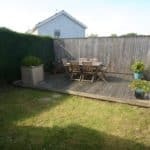 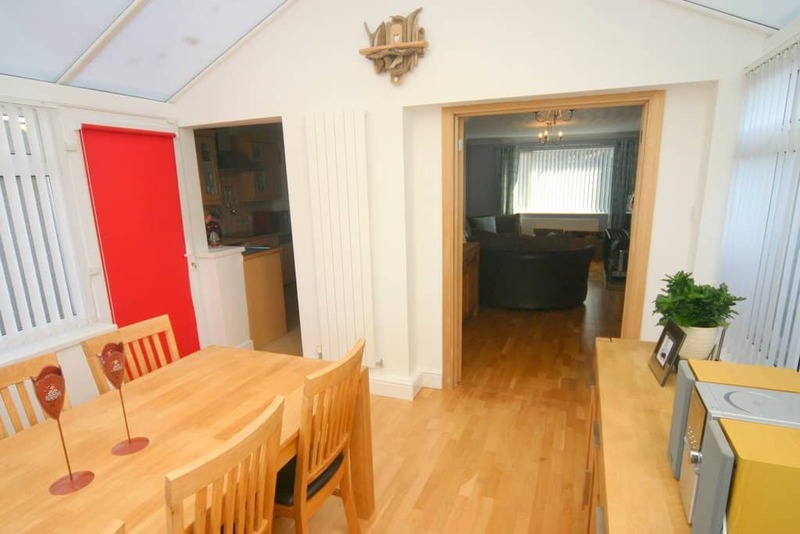 The property has been renovated professionally to a very high standard with a large sun room/dining room extension to the rear with access from both the kitchen and living room. 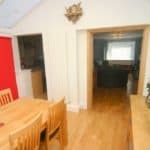 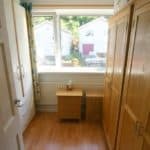 4 Ael Y Bryn has spacious downstairs living accommodation which has the pleasure of oak internal doors with glass panels and tiled or French oak flooring and skirting boards. 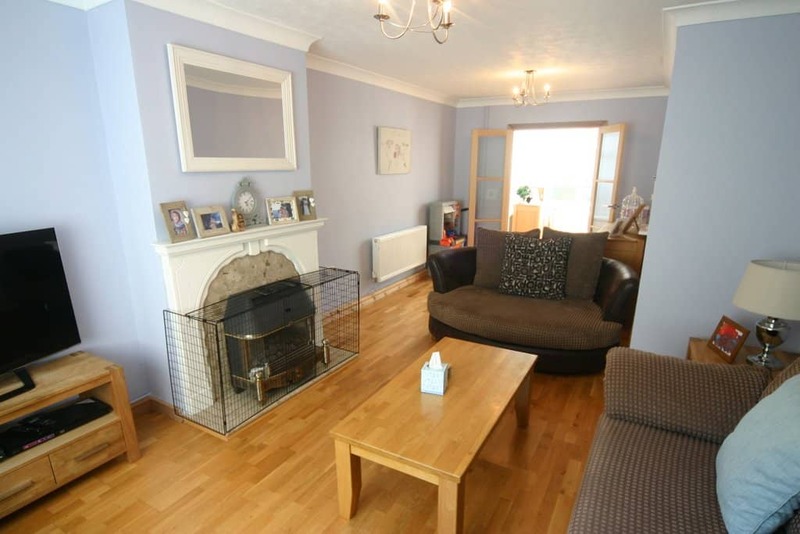 The lounge has an ornate fire surround with coal effect gas fire. 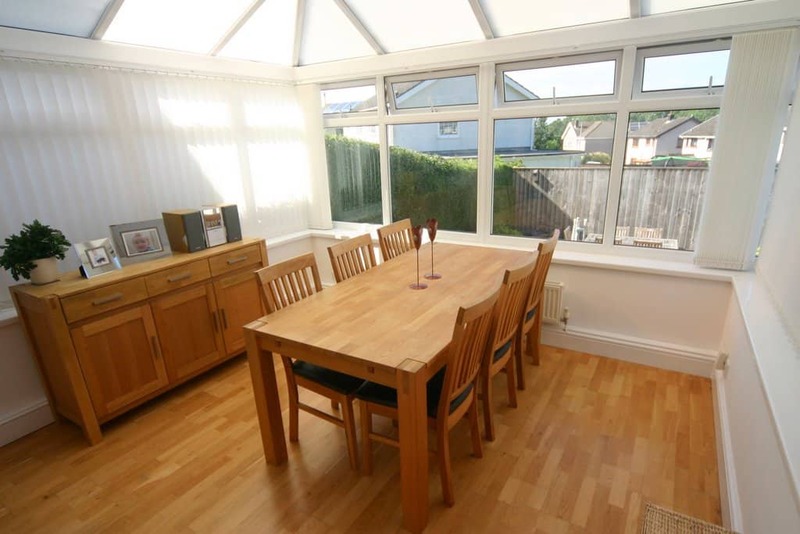 The windows are uPVC double glazed with and there is a pretty South facing rear garden. 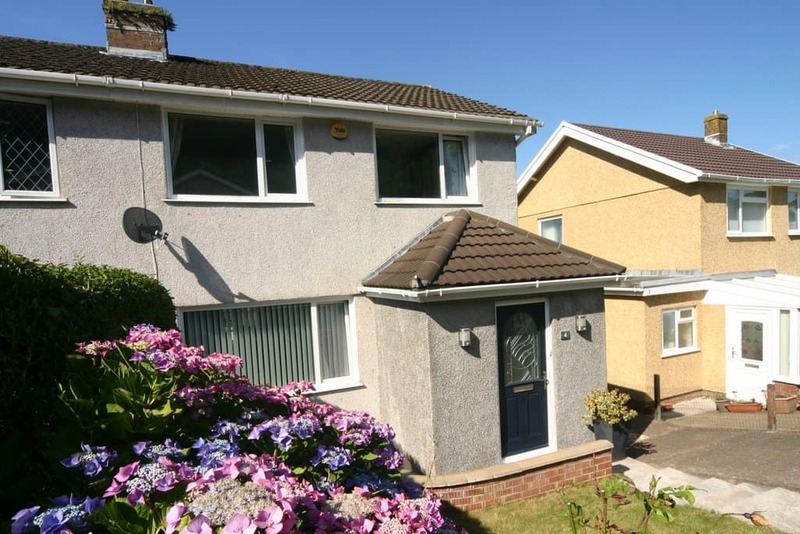 *Planning consent has been approved for a two story extension to be build at the property. 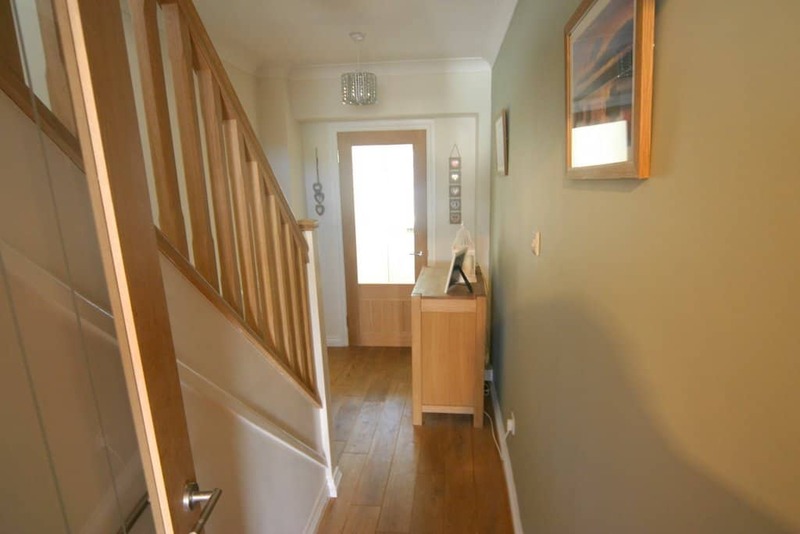 The entrance porch leads through an oak with glass paneled door to the hallway. 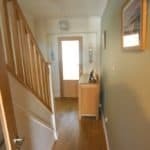 The hallway also has French oak flooring and attractive French oak doors and a beautiful oak staircase. 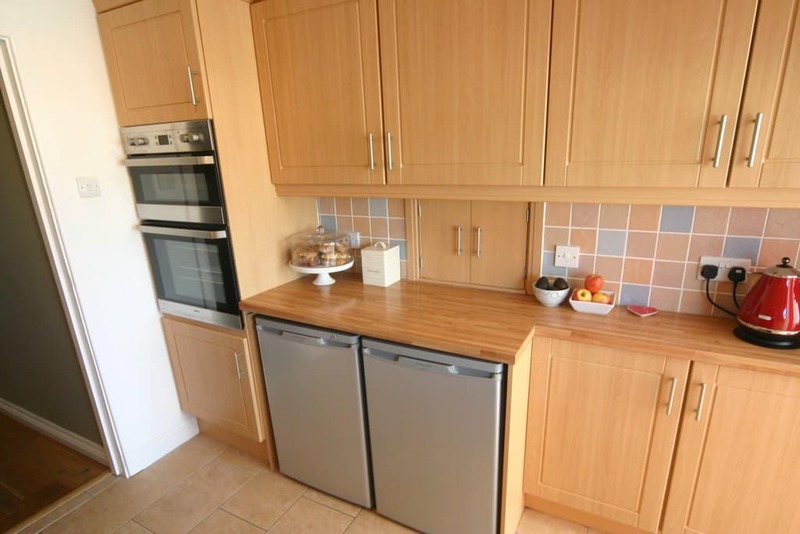 The kitchen has a range oak effect wall and base units and glass display units, built in eye level oven and grill, four ring ceramic hob and chimney style extractor fan. 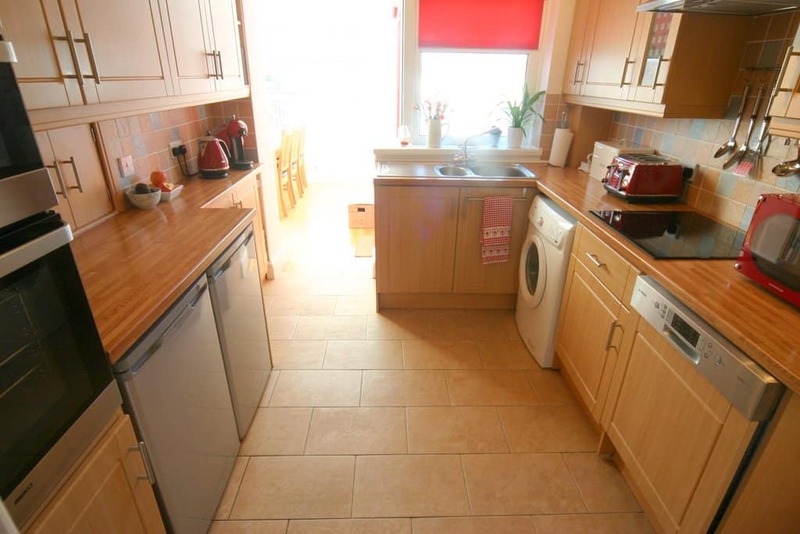 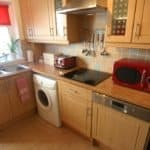 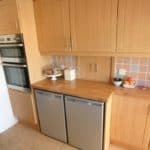 There is a space for under counter fridge, freezer and washing machine. 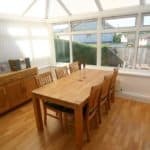 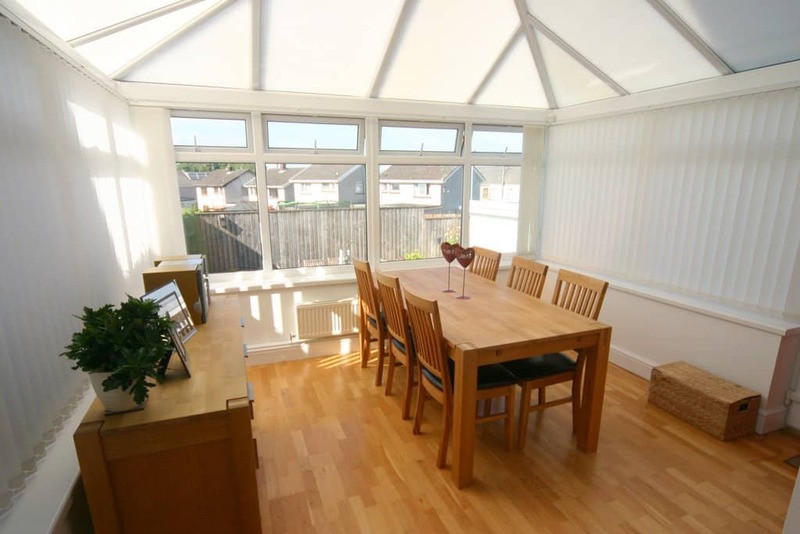 4 Ael Y Bryn has an open doorway from the kitchen to the conservatory/dining room which is light and spacious which has a doorway leading to rear garden. 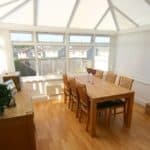 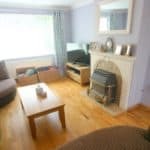 The conservatory/dining room leads through double french doors (Oak) to the Lounge which is a spacious modern room with French oak flooring, There is an attractive fire surround with a coal effect gas fire. 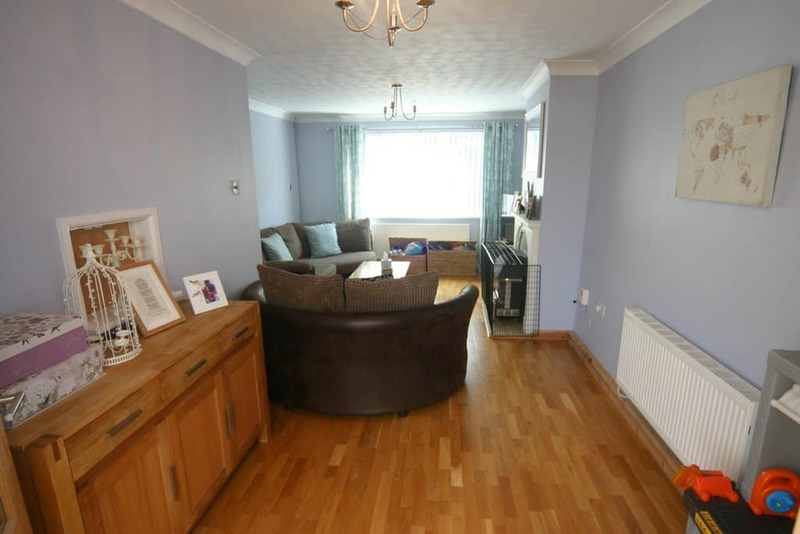 The first floor has three bedrooms. 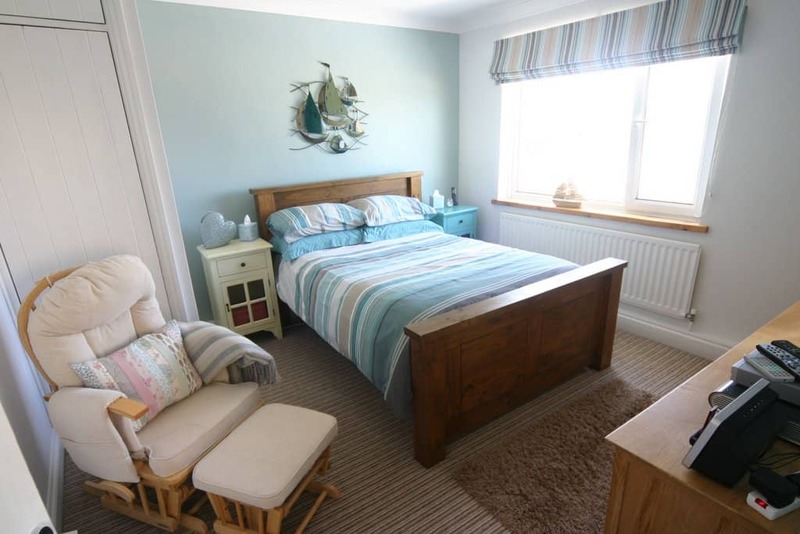 The master bedroom is carpeted, has a built in wardrobe and views to the Estuary. 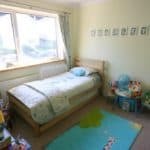 Bedroom two is carpeted is spacious has hillside views. 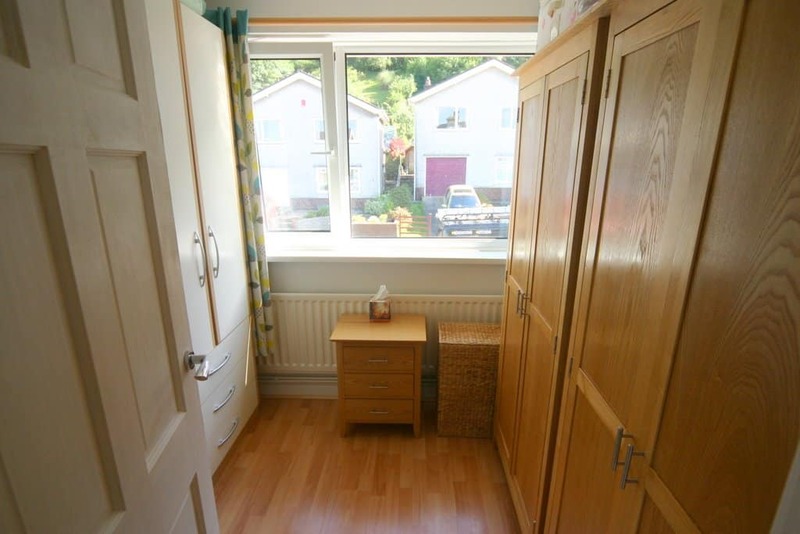 Bedroom three is a single room and has laminated flooring and hillside views. 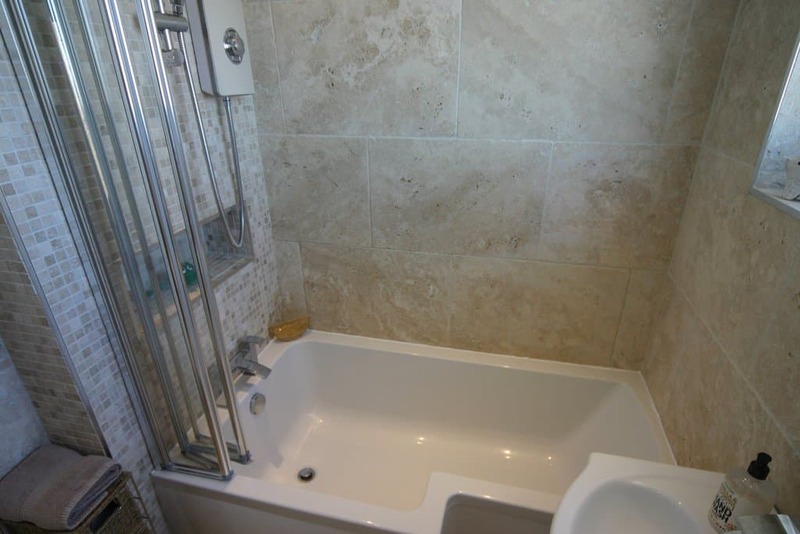 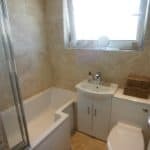 The bathroom is very modern and fully tiled with travertine tiles on both floor and walls with a mixture of large and mosaic style tiling. 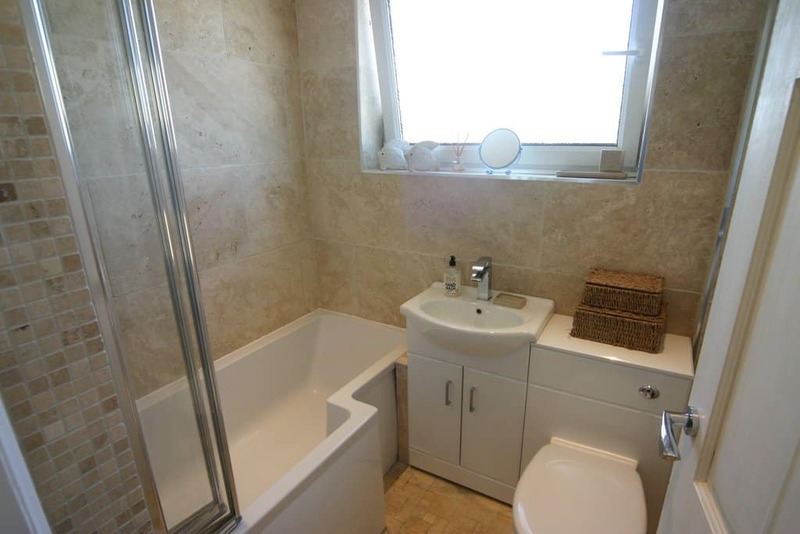 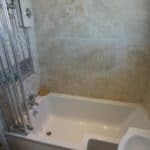 The three piece suite comprising of wash hand basin and low level WC integrated into a bathroom storage unit and a squared 'p' shaped bath with electric shower over.